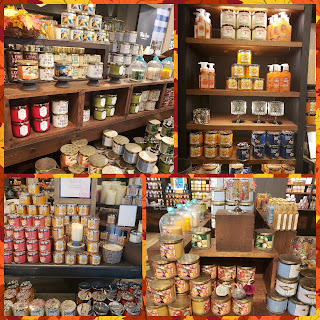 I've said over and over time and time again - I do not like candles based on bodycare...which I could care less about (although I will say that I do enjoy the Beautiful Day handsoap and pocketbac). Honestly I got this candle out of sheer desperation as for whatever strange reason, there are no good fresh floral spring scents this spring. Now I bought Beautiful Day way before I found that Spring was being released as a WB exclusive; I had I known that I would not have bought BD as it pales in comparison to Spring. And I didn't feel schlepping all the way back to GSP just to do one exchange so I decided to keep it. Moreover, and I'm gonna sound like the biggest hypocrite by admitting this, but I was drawn in by the packaging. As I love so close to NYC and am in various parts of it on a regularly basis and has fall head over heels with it,I totally fell for the label; it's cute! I mean come on, there's nothin like a stroll thru Central Park in spring, amirite? Anyhoo, I didn't buy the candle just for the label, that was just an added bonus; I did actually enjoy the scent....that is until I burned it. 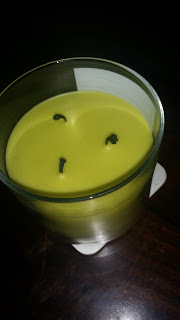 So first of all, this candle has the dreaded curl wicks! They form little Cs with the mushroom almost going into the wax. And as far as I know, there is no way to straighten them back up. The first couple of burns were pretty craptastic with the wax taking forever to completely melt. However once it got near mid-range, it started melting out a normal rate with no tunneling/canyoning. The throw is pretty strong; it filled my entire living room and kitchen area and it linger for hours after I blew the candle out. The wf bulbs however are a different story; the throw is practically nonexistent. I usually have 4 or 5 going throughout my living room and hallway and I smell practically nothing. It's like it's just pumping out air, totally useless. This all sounds lovely and would under normal circumstances be a spring scent I would love but I did not enjoy as much I thought I would. I got a very offputting synthetic chemical smell that was kinda grossing me out. It's possible that I just got a bad batch or this particular incarnation of BD is effed up as I have heard no one else bring up this complaint. Whatever the case may be, it has turned me off to this candle and in the future will be sticking to the soap and pocketbac only. I'm actually with you in that I don't care for body care scents turned into home fragrance in general. They just seem a little to complex and muddled for my taste. Also, body care and personal fragrance is designed to be more cloying do it will project further and last longer on a persons skin. Those wick, I've been saying it for awhile now, need viagra (seriously, it's like a bad third date) 😂😂. Ewicktyle disfunction. 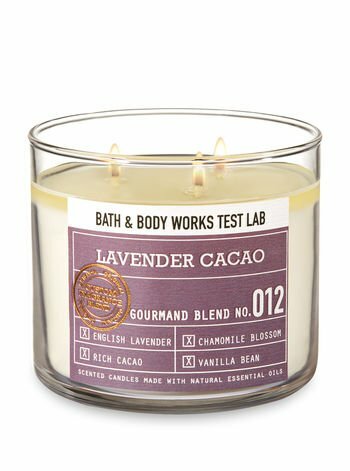 I've never tried this candle and will most likely pass after reading your review. I have not purchased any of the iterations of Beautiful Day since the first one which came out in the southern collection last year. I have been non plussed by the other versions of it. Last uears was awesome for me. Now mind you, I LOVE Beautiful Day in bodycare. It is my fave scent they make. 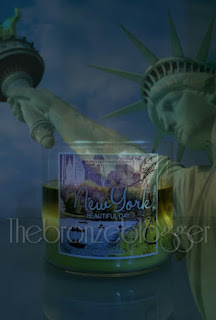 Last years version smelled exactly like the bodycare, the wicks performed fantastically, and the throw was great. None of the other versions have smelled quite the same to my nose on cold. The fall version in the colored glass and the Christmas packaging version were too fake apple-y. This one is closest but doesnt seem as strong. Thankfully last years version was at SAS and I picked some up. Can I just say too how much I HATE the curling wicks? It seems like most of the spring candles have them and they discolor the wax badly and impart a kinda sooty smell to the candle after a few burns. Gross.